Make no bones about it, calcium is essential for good health. But did you know that calcium and its many forms can do more than support strong, healthy bones? 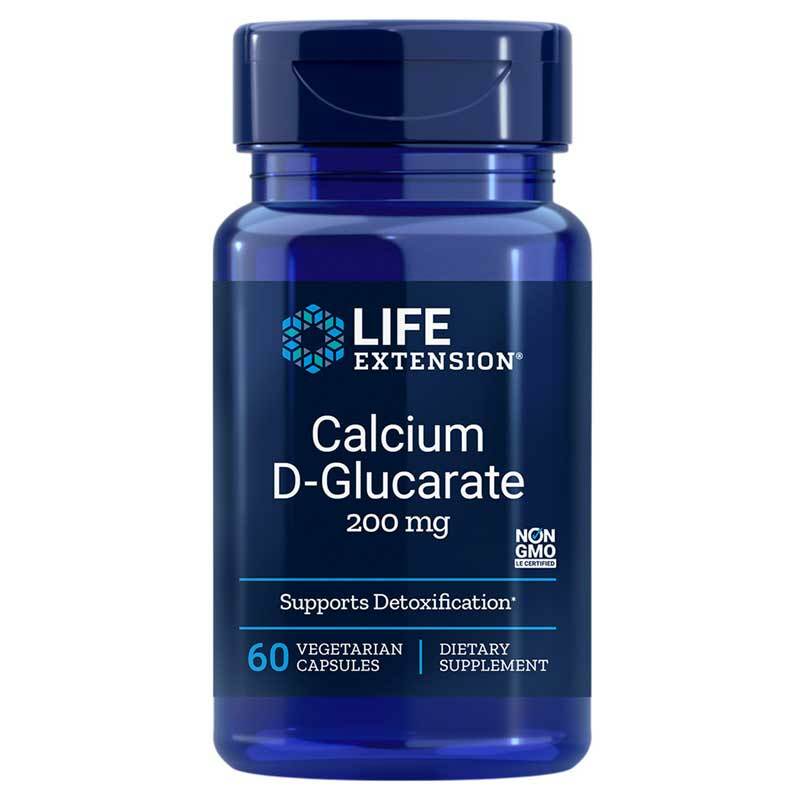 Get all-natural detoxification support with Calcium D-Glucarate 200mg from Life Extension. D-glucarate is naturally found in grapefruit, apples, oranges, broccoli and Brussels sprouts. It provides unique cleansing support within the body through a detoxification mechanism called glucuronidation. The body uses this process to make a variety of potentially harmful substances within the body more water-soluble, thereby allowing them to be more easily eliminated from the body through urine or feces. Supporting the body's detoxification processes may help support its systems from damage by toxins, waste products and free radicals, thereby supporting overall health and wellness. 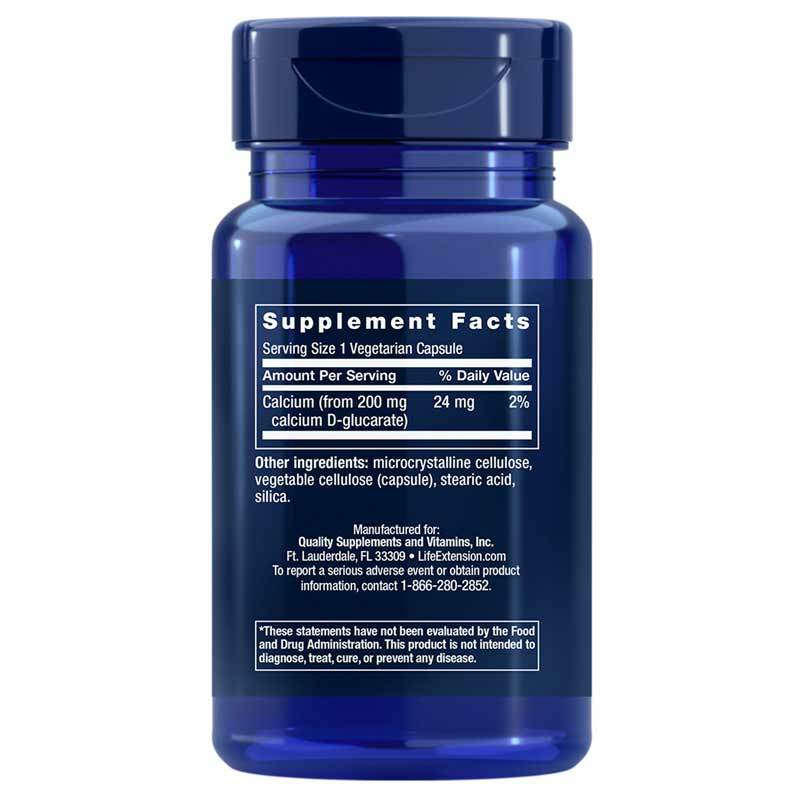 The D-glucarate in this supplement comes from calcium D-glucarate and is contained in vegetable cellulose capsules that are suitable for vegetarians. Support your body's detoxification processes. Order Calcium D-Glucarate. Adults: Take one (1) capsule daily with or without food, or as recommended by a healthcare practitioner.